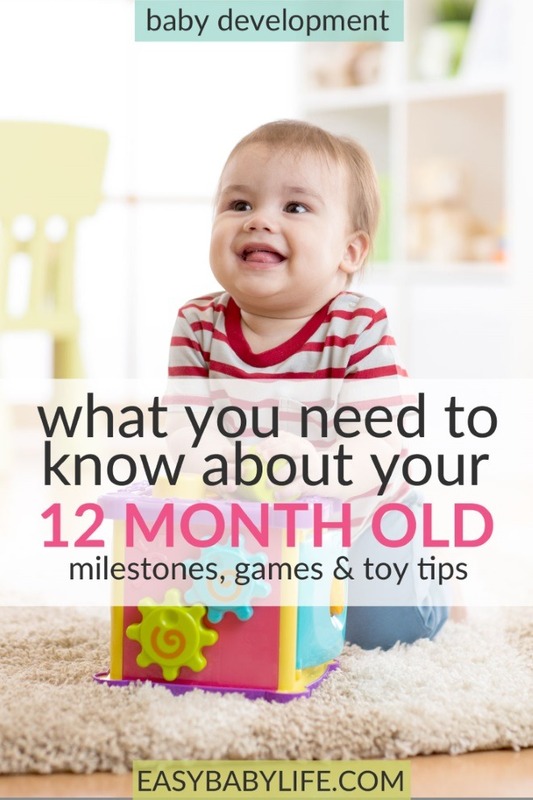 The Happy 12-Month-Old Baby - Development Milestones, Fun Games to Play and Toy Tips! 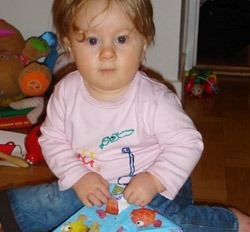 Home > Baby Development Month By Month > The Happy 12-Month-Old Baby – Development Milestones, Fun Games to Play and Toy Tips! The Happy 12-Month-Old Baby – Development Milestones, Fun Games to Play and Toy Tips! Well, a 12-month-old baby/toddler is still quite young, I think! Five days later she walked a few steps for the first time. So happy! 1-year-old babies are fantastic! So able yet so young. With the first baby, it is easy to believe that development will now slow down. Not so! Growth will slow down, but by 2 years, your young toddler will be able to talk, run, jump, maybe use the potty, use a fork, sing a little bit, draw and a lot more. And say “no” and “no” again. Anyway, the next year will be a fantastic one too! Many babies take their first steps at around 1-year-old and actually start walking more and more. Some others need more time. 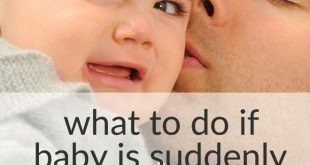 In any case, many 1-year-old babies crawl when they need to get somewhere fast. Our oldest boy didn’t walk until he was well over 18 months and there is absolutely nothing wrong with him! The same goes with using the language. 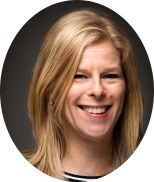 Many children seem to be either “early” with their motoric skills or with the language. Some sit and talk, others run around and say more or less nothing. But they do understand a lot! 12-month-old, it is a good idea to let your baby start feeding himself with a spoon if he is interested. It is very messy in the beginning, but so convenient after a while to not have to feed your baby. Your baby has now a well enough developed hand-eye coordination and understanding to open cupboard doors and drawers that open easily. 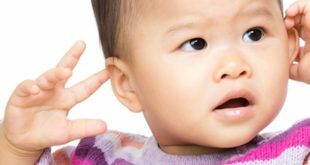 The baby’s brain is developing and a 12-month-old can solve simple problems like opening a container or pulling a string to make a toy come closer. 12-month-old, building towers or rather knocking them down is fun. You build and he knocks. Again and again and again. Look into a mirror and point at the nose, the mouth etc. Soon enough your baby will do the pointing. Draw together using thick crayons or finger paint. I personally like sitting in the bathtub (or at least putting my baby there when using finger paint. Dress him off except for the diaper and have some fun. When using crayons, drawing is much easier if you tape the paper onto the table or floor. Seeing other children both of the same age and older are good at this age. Your child is likely to imitate what other children do, although he is too young to actually play together with another child. Singing songs or saying nursery rhymes with movements are great fun. Hide and seek is becoming easy to play now when your baby is able to move around a bit. Hunting each other is also probably a favorite. Toy tips this month is, of course, birthday tips! But my very first tip is to not overdo it. A baby that gets too many presents and too much attention may end up crying rather than laughing. A very wise tip I got once was to invite as many friends to a child’s birthday as the number of years he is. 1-year-old = 1 friend At least not 10 babies! Push toys; especially if they are steady enough to help your baby walk. Pull toys, the ones you pull in a string are fun if your baby already was well. Otherwise, they are too difficult. A small play slide is great fun if you have enough space. Sorting and nesting toys are still very popular. Picture books, but now with small stories rather than just pictures. Musical toys, like drums are fun. Dolls and animals, both stuffed ones and others. Riders, like this one, are fun – but remember to buy one for small children! Crayons and finger paint. But be prepared that you baby will chew the crayons! How To Stop Breastfeeding a 12-Month-Old Baby?